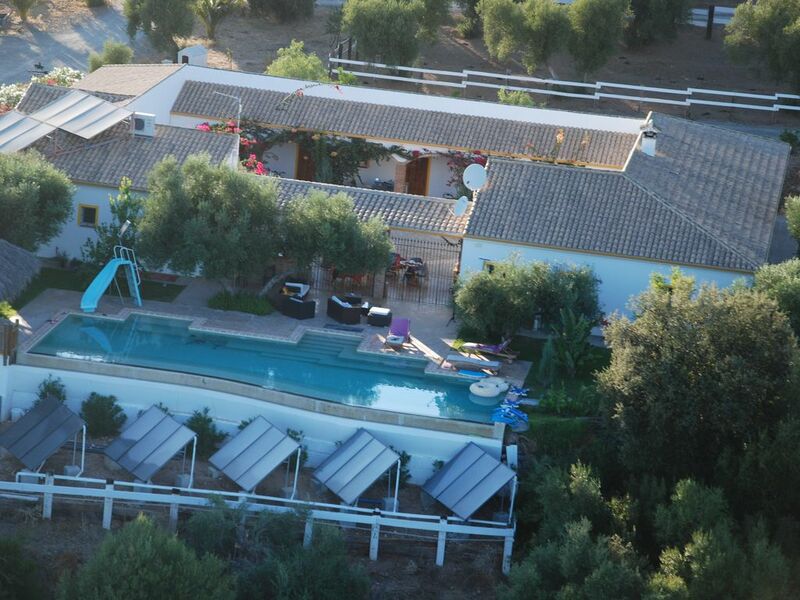 Ecological house las Gateras situated among olive groves in a very quiet place. One hour from Seville near the route of the white villages. electricity with solar panels and wind, water from the well. 6 double rooms with bathrooms, large terrace, outdoor kitchen and inside kitchen, beautiful infinity pool 17 meters; wooden hut with hammocks. marble floor. Italian shower. a wash basin, WC.